Posted on Jul 21, 2015 by Appleton Downtown Inc. Located at the previous Riverview Country Club, Riverview Gardens is “72 Acres of Opportunity”. The land is used for farming and so much more. People of all ages are trained in transferable job skills. 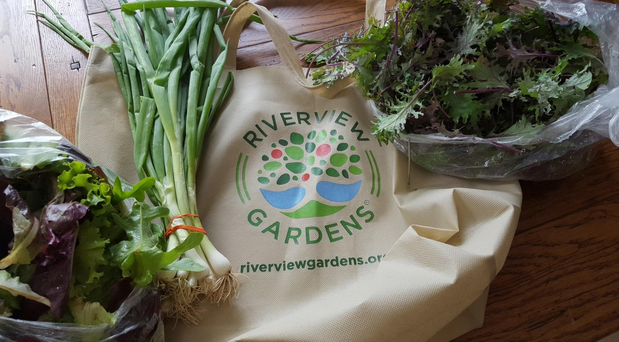 After three years of hard work and documentation, Riverview Gardens has just received their official organic certification. I recommend watching this video about their wonderful vision for our community! As I eat the delicious salad made from the greens, spinach, and onions; I marvel at the community impact that purchasing my ingredients can have! When I shop for organic food- it is good for me and my family. But when I shop at Riverview Gardens for my organic food, it is good for the community and for all the individuals that are being helped by their programs.